Suntec City, SINGAPORE– Automation is here to stay and the ITF stands firm: No automation without negotiation. 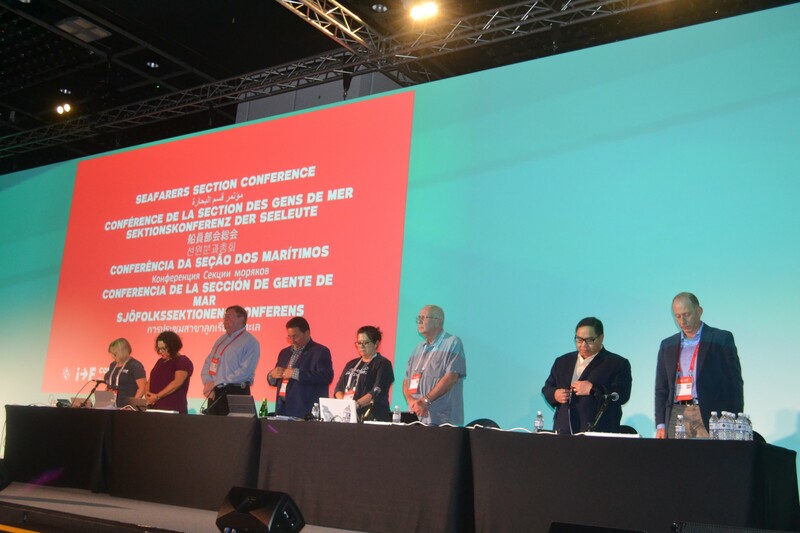 ITF General Secretary Stephen Cotton revealed at the Seafarers Conference that the chairs and the Executive Board members unanimously decided that the Congress should deal with what is future of work and what is going to be the impact of technology. Mr. Cotton encouraged everyone to start the timely conversation on automation and challenged the unions to work together to stop misinformation. “No automation without negotiation.But the challenge will be, negotiation for what? Job security, better education, up skilling – these are questions that can only be tackled by you,” he said. The General Secretary further stressed that different transport sectors are under different kinds of pressure and different kinds of timeline for the possibility of implementation of automation. At the moment, he said automation is potentially more impactful on high-cost regions where laborers are higher cost, as the cost of automation is quite substantial, “there’s still bits of the world that needs some more help and support on campaigning, communicating, delivering different outcomes, so for me we still have some capacity to do more work on the ground,” Mr. Cotton added. 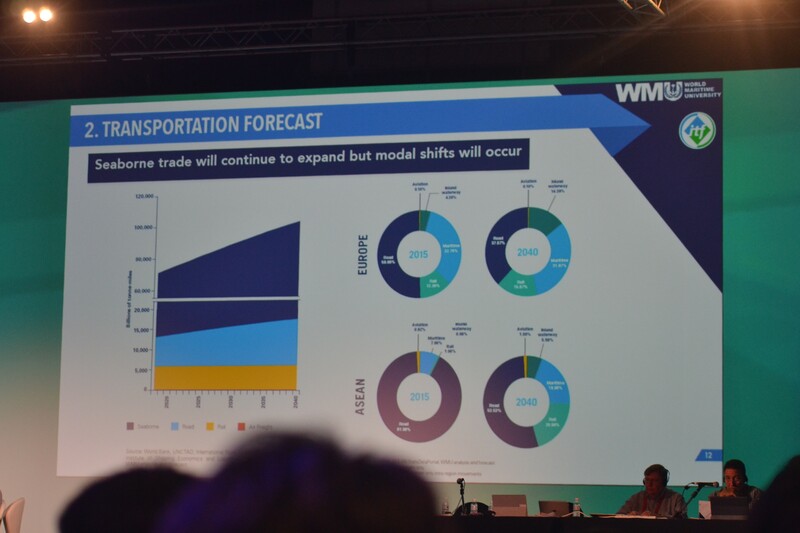 The World Maritime University President and Former ILO Director Dr. Cleopatra Doumbia-Henry proceeded to present the study, WMU-ITF Project: Transport 2040, together with Dr. Jens-UweSchröder-Hinrichs. They discussed about Technology Trends, Transportation Forecast, Overview of the Labor Force and different Country Profiles. 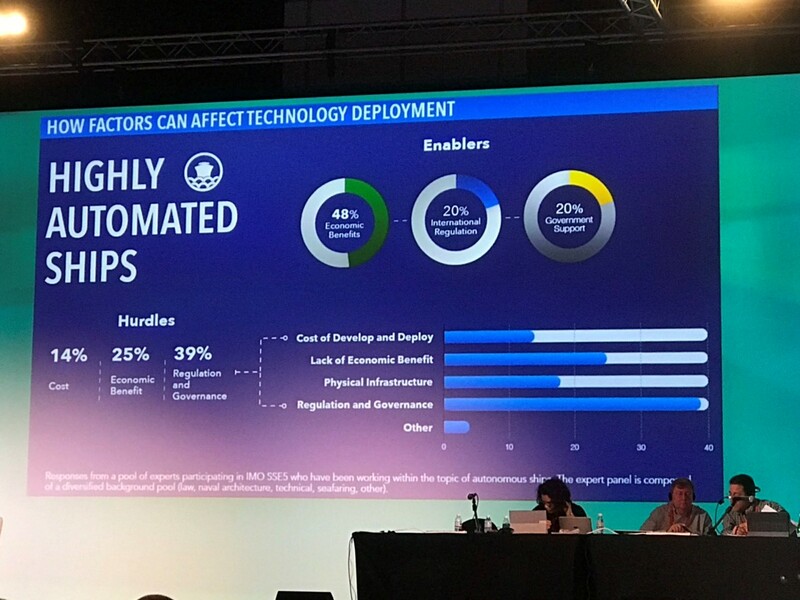 The experts forecast that by 2040, the percentage of highly automated ships will still be at a range of maximum of 15%, which means that the conventional ships as they are today will still represent 85 % of the world fleet. “The introduction of automation will be evolutionary rather than revolutionary. Especially in the seafaring sector, you will have a couple more years to give the industry a chance of adapting to those challenges created by automation and technology over the coming years,”Dr. Jens-UweSchröder-Hinrichs explained. Seafarers Chair, David Heindel, affirmed that several shipping companies have guaranteed to keep their seafarers at work. “Maersk quite emphatically indicated that they would never have vessels running without seafarers onboard. They look at automation as a way of augmenting seafarers through a system in their daily work,” Heindel said. Ms. Smith also highlightedthe need to make sure that any changes in technology will allow members to have the opportunity to be reskilled and retrained, “so that they also become organized workforce and that it’s not slipping away in the union-busting exercise.We also need to have a voice in this whole conversation because at the moment, the dominating voice in this conversation is the tech companies,” she added. As for Dr. Cleopatra Doumbia-Henry, aside from job security, the industry should also focus on gender equality in the imminent era of automation. “As these technological developments take place we have to ensure that the design of these technological advancements takes into account gender dimension. This is one of the greatest challenges of the maritime industry,” she said. The former ILO Director revealed thatthe 2019 World Maritime Day will be dedicated to women and the central theme will be empowering women in maritime. According to her, it will be an opportunity for the entire industry and for the trade union movement to take the lead in making sure to have more women in Maritime. Dr. Doumbia-Henry said sheis hopeful that with the focus on women next year, the technology development could be an opportunity to make the maritime industry more gender-sensitive.